The latest Drupal Linux Sysadmin Training Course we run is over. Out of 15 entrants, 2 trainees completed the course, one a graduate of the Krasnodar College of Electronics and Engineering and the other a 4-th year student at the Kuban State University. 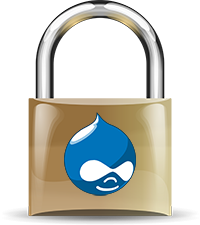 Here is a brief account of how we applied the most critical Drupal security update in the past couple of years to web projects we support and monitor. Hey all! Today, we shall show you some examples of master-slave replication setups. Why do you need replication in the first place? There are at least two reasons to set it up. First off, it is your insurance that helps avoid downtime when/if your master MySQL server goes down: with replication, slave server picks up and fills for the master. Secondly, replication allows decreasing load suffered by the master server: you use it for writing only and pass read queries to slave. Hi, fellow Drupalers. Today, I’d like to share with you a project of ours that allows automating web server setup for Drupal-powered websites. At Drupal Admin team, we often set up and fine tune servers for Drupal websites, so it was only natural for us to develop a routine that automates the related processes. We picked Ansible configurations management system for initial setups and further servers maintenance.